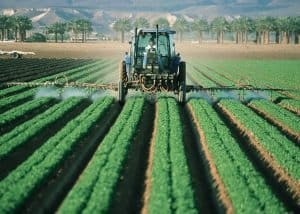 Large-scale pesticide spraying in agriculture. In the last century, modern farming, agriculture and other industries have created significant stressors that damage the health of bees and other pollinating insects, also identified as pollinators. Pollination is an important activity that bees carry out for humanity. Discover here what pollination is. Let’s take a step back in history and go to the time after World War II. In this era, we started an agricultural revolution, changing our farming practices to produce more food and at the same time, minimize costs. Let’s find out the details. After World War II, we transformed areas with fertile soil into towns, croplands or lands for livestock. Bees and pollinating insects lost vast areas of vital food sources due to this massive transformation1http://www.pollinator.org/PDFs/OPERAReport.pdf. Why is fertile soil so important for bees? Fertile soil provides a natural variety of different plants and supply vital food sources for pollinating insects. Bees need exactly this variety of natural nectar and pollen sources to prevent nutritional deficiency and to strengthen the immune defenses of the colonies. What about wild bees and other pollinators? Up until now, we’ve been referring to domesticated bees. The habitat loss also affects many other pollinators, e.g. wild bees, butterflies and flies. Wild bees depend on the existence of singular wild plants, while honey bees can use a variety of plants as food source. Therefore, habitat loss can have more dramatic consequences for wild bees than for honey bees. 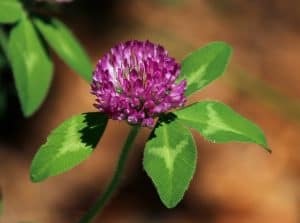 Do you know what clover and alfalfa are? 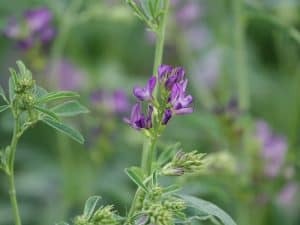 Clover and alfalfa are so-called “cover crops” that used to be planted as natural fertilizers with multiple benefits to agricultural soil and crops. For instance, their presence increased the nutrients in the soil. Their function is to keep the soil and groundwater clean and to produce food sources for bees and pollinators2https://www.sare.org/Learning-Center/Books/Building-Soils-for-Better-Crops-3rd-Edition/Text-Version/Cover-Crops/Benefits-of-Cover-Crops. Before WWII, cover crops were widely used in agriculture. After the war, the farming industries started using synthetic fertilizers, which eventually replaced cover crops and their benefits to bee populations. Not only was this replacement a bad idea for bees and pollinators, it was also a questionable choice. Let’s find out why we started using them: Unlike organic fertilizers (e. g. animal wastes, crop residues, compost and cover crops), synthetic fertilizers have an immediate impact on soil, which is especially important for dying or malnourished plants of a non functional ecosystem. They don’t require time to grow, you just put them and the effect is right there and visible. Imagine, it’s like having a magic liquid that adjusts imbalances in no time. After World War II , the use of synthetic fertilizers increased crop yields and paved the way for a powerful agricultural revolution3agricultural revolutionhttps://www.researchgate.net/publication/283500340_Synthetic_Fertilizers_Role_and_Hazards. If synthetic fertilitzers are that helpful, why should we condemn them? These chemicals kill beneficial microorganisms in the soil that convert human and plant remains into nutrient-rich organic material. More disturbingly, these substances make their way to the groundwater! Once in the groundwater, they cause water pollution in rivers, lakes and other aquatic ecosystems. At that point, our new modern farming system had another enemy…. weeds (we still have the weeds problem today)! We started using herbicides to kill off weeds on cropland. Unfortunately, many weeds are flowering plants that bees need as a food source. Have you ever seen pictures of the infinite almond tree farms in California? Or rapeseed crops in Germany? Endless rapeseed fields. Areas with only one plant species are "food deserts" for bees except for a few weeks (flowering season) in the year. Both the almond farms in California and rapeseed crops in Germany represent large scale agricultural monocultures of our modern times. Monoculture is the cultivation or growth of a single crop especially on agricultural or forest land at a time. It is the opposite of polyculture, where more than one crop is grown in the same space at the same time4https://www.sciencedaily.com/terms/monoculture.htm. Why do we tend to grow monocultures rather than polycultures? Monoculture crops allow increased cost efficiency in planting and harvesting. What is the problem with monocultures? In the last decade monocultures became geographically bigger. The farms that used to have large plant diversity now have acres and acres of the same crop. The flowering period of a plant is usually once a year for just a few weeks. In this period, bees could potentially live and survive as food sources are rich and available. During the rest of the year, the land becomes a “food desert” and a graveyard for any pollinating insect. Monocultures with insect-pollinated plants do provide a food source for bees but it is an extremely monotonous and nutritionally limited source. While bees require floral diversity to ensure the health of the colony. Like us human! Just imagine having to eat only white rice or pasta for the rest of your life, your body will develop many problems because of nutritional deficit! So, in short, monocultures reduce the variety, quality, and quantity of food of our bees and are therefore is one of the major drivers of habitat loss and bee extinction. A truck with 440 hives, ready to be shipped to the next flower destination. There is another problem with monocultures. Imagine a land where only one type of plant grows. Can there exist a fully functioning fauna and flora in such a place? The simple answer is… no. In the case of wind-pollinated plants such as corn and cereals, the missing fauna is not a problem, since these plants are self-pollinating, they do not require the help of pollinators for their reproduction. However, for insect-pollinated plants, such as a lot of fruits, nuts and vegetables, the fauna (the insects) that these plants rely on for pollination, is completely missing. To give an example, almonds and apples cannot develop from almond or apple flowers if there is no bee involved that carries out the pollination service. To sum it up: Insect-pollinated monocultures require hundreds of thousands of bees to ensure a productive harvest. So what did humanity invent to solve this problem? Here is how it works: Bee hives are shipped to cropland during flowering seasons and shipped out when their pollination job is done. Hundreds of commercial beekeepers relocate their bees across long distances to force their bees into the pollination periods of flowering crops. In February 2016, there were 2.66 million managed bee colonies in the United States of which 1.8 million (this is more than a half of all U.S. bee hives) were transported to California for almond crop pollination5https://entomologytoday.org/2017/04/10/why-human-behavior-is-hurting-honey-bees/. Bees are exposed to pesticides which disturb chemical connections in their brains. Pesticides are considered another huge turning point in our agricultural system, introduced widely after World War II. Pesticides are often suspected as the cause for the death of bees. Many pesticides that are used on bee-pollinated crops are toxic to bees. They are exposed to pesticides such as neonicotinoids and/or glyphosate among others. Why do we use pesticides in the first place? As we stated before, monocultures do not represent a healthy ecosystem. Therefore they also lack natural self-defense against invading insects. If human diet consists of no fruits and vegetables (or their equivalents), you’d be suffering from the lack of vitamins and minerals and your immune system will weaken. Hence you’re more prone to bad bacteria and viruses – in this case, think of very evil insects that hurt our plants. So, when there is no diversity and “food chain” in place that would naturally balance the amount and variety of insects, this will lead to the use necessity and use of pesticides to weed out the bad agents. Farmers usually spray the pesticides in the morning. Unfortunately, this is exactly right before bees fly out of the hive to get to “work” and therefore they get the full dose of pesticides. What happens to bees when they get in contact with, eat or transport pesticides? 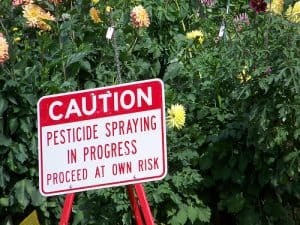 Pesticides are water soluble and “systemic”, this means that their exposure to insects can occur in all parts of the plant, including pollen and nectar. Pesticides on sublethal doses disturb chemical communications in insect brains, leading to disorientation, disturbance in the communication (dancing communication) and general weakening: worker bees, in particular, causing them to bring less food in the hive or not able to find the way back home. 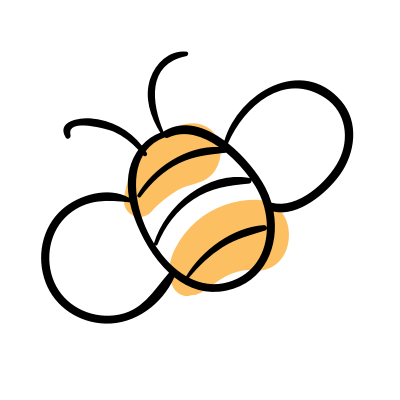 Thus, the honey production decreases and the survival of the hive becomes critical6https://de.scribd.com/document/252121365/7-Colony-Collapse-Disorder-Have-We-Seen-This-Before-Robyn-m-Underwood-and-Dennis-Vanengelsdorp. 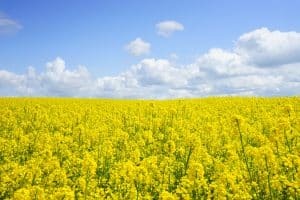 Interestingly, neonicotinoids – the largest group of pesticides currently used in agriculture is supporting a multi-billion-dollar-industry in both the USA and Europe. More often than not, the same producers of pesticides also produce fertilizers and seeds. We made the life of bees and pollinators miserable. Our so-called “progress” in agriculture is an escalation of increasingly worsening living conditions for both fauna and flora. Using fertile soil for livestock, monoculture cropland and human living areas (towns) decreased the space for bees in the first place. Then, we cut the most important plants for the survival of insects on cropland by replacing cover crops by industrial fertilizers. In addition to that we poison the soil and crops with pesticides and herbicides to keep the unwanted insects and weeds off the crops. 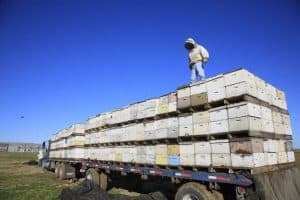 On top of that, we put bee hives on trucks to carry them on long distances from one monoculture flower land to the next. Bees are struggling. And the reasons for this struggle are more than evident.